Something tragic happened this week in Sioux Fall, South Dakota, a two-year old boy died of suspected child abuse at the hand of a 27 year old man who was not the child’s father and has a lengthy history of domestic abuse. This a horrific event and should help spurn some much needed discussion about abusing women, child abuse, and the punishments that offenders do not receive until it is too late. However, the only reason most people outside of Sioux Falls have even heard of this incident is that this may be Adrian Peterson’s son, star running back of the Minnesota Vikings and a lot of people’s number one pick in fantasy football. 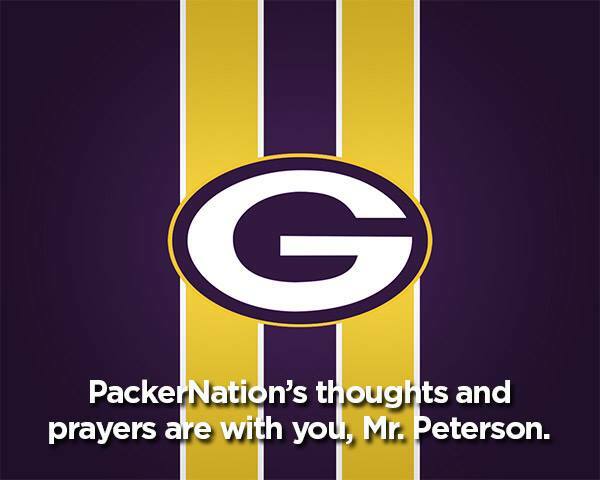 No doubt many of you heard about this from the litany of facebook posts pouring out their support for Adrian Peterson. While, this is certainly tragic and should be discussed pouring out sympathy on an absent father doesn’t seem like it should be the top priority. There are still a ton of facts unknown about this case and Peterson has asked the media to not ask questions about the situation, which is his right, but shouldn’t this incident lead to some larger conversations? In addition to this in a report to Congress the same department found that roughly 5% of mistreated children experience a recurrence within just 6 months. You can read their whole report to Congress here. The sad part is this is a common occurrence in the United States. Hopefully, this case can start to generate some conversation and change to help protect children from potential abusers. Another issue that begs discussion is athletes fathering children and not taking responsibility. This is an old article from Sports Illustrated, but a good read from Grant Wahl and L. Jon Wertheim, called Paternity Ward. If you google the issue you will see a cornucopia of high profile athletes with Paternity issues. I do not want to take away from the tragedy of this poor child. I hope and trust that proper justice will finally be brought upon Joseph Patterson, but I believe our conversation needs to be turned from Adrian Peterson and football and back towards this case and why so many child abuse episodes happen every day and how we can start to help curb this horrifying epidemic. I’m often to blogging and i actually respect your content. The article has actually peaks my interest. I am going to bookmark your web site and hold checking for brand new information. I’d have to test with you here. Which is not something I usually do! I enjoy reading a post that can make individuals think. Additionally, thanks for allowing me to remark!